Nice things customers have written about my wiring harnesses. Paul Harrison's restored V700, including a replacement wire harness that I built for him (complete with relay solution). 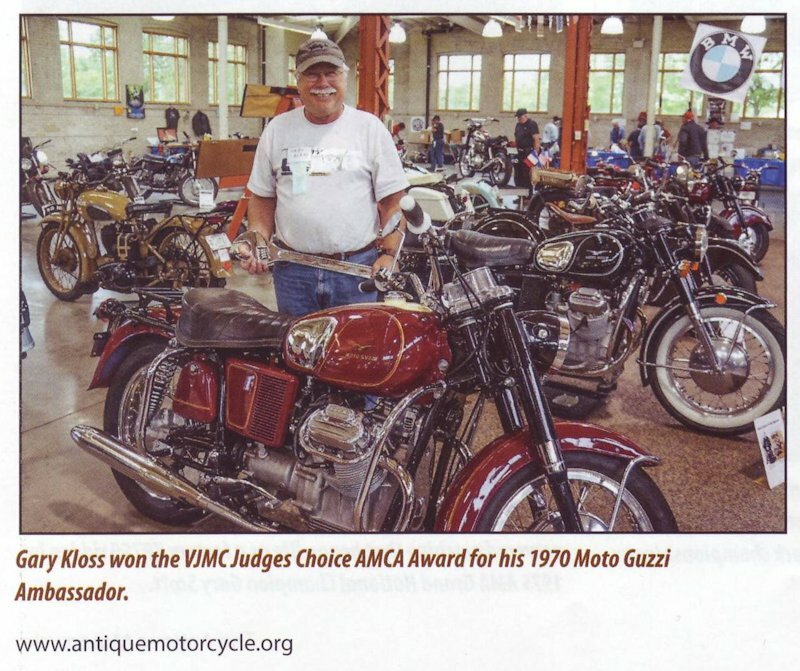 Paul's V700 was featured in Motorcycle Classics magazine, with a nice reference to me and my wiring harnesses. Photo courtesy of Paul Harrison. In a world where I am finding purchased items to get cheaper, shorter, smaller, less content, substandard materials, boxes 75% filled, etc., etc., you have done the incredible: produced a product of the highest quality that may be even better than the original. Thank you. Peter Marechal restored this Ambassador, including a complete wire harness I built for him. Photo courtesy of Peter Marechal. I just wanted to let you know I couldn't be more pleased with the results of rewiring my Eldorado. As you know you provided me with everything to completely make the electrics totally new. I would recommend anyone replacing wiring they replace every circuit, so you don't have to connect new to old. My bike had many modifications that you incorporated perfectly. Your relay solution made what I did previously look like a cave man did it and the horn relay solution to my dual horns was perfect. As I progressed through the installation it actually became kind of fun and wiring is not my strong suit. I will be ordering for my other bikes as time permits. Thanks for providing such a well thought out and quality product. David Hayduk's handsome California III, including a replacement wire harness that I built for him. Photo courtesy of David Hayduk. 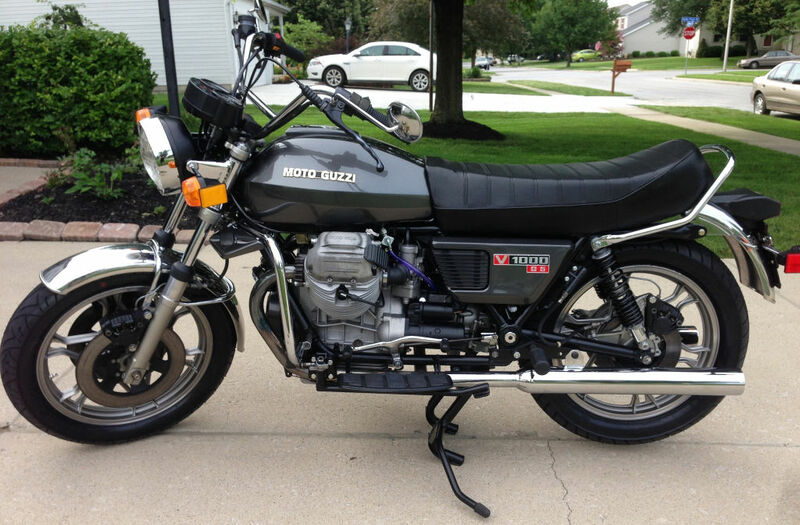 My Moto Guzzi works perfectly again. I'm so happy! Suddenly the engine stopped and I did not know what was going on. I suspected a defective cable or something on the electrical system. But what exactly? I'm not a mechanic. I decided to replace all electrical components and all cables. Luckily I found your website and ordered all cables I needed an all I did not know :-). Thanks to the wiring diagrams and the instructions on your website I could replace the new wiring on my own. Well, I went several times frustrated out of the garage, but never give up! Even this case is described on your website. I finally succeeded. I am very proud. Thanks for your great work. The cables were all perfectly prepared and labeled. Somebody have a similar project I will recommend you, for sure. Joe Tokarz's restored Eldorado Police, including a replacement wire harness that I built for him (complete with relay solution). I received the package today. I'm very impressed with your work. I feel fortunate that there are enough of us that still appreciate the older Guzzis for the beautiful vintage machines that they are. When I opened your shipment I left everything sealed to protect the wiring from my drooling, HAH! I'm also impressed with your orderly attention to detail in packaging, labeling and online instructions. You've made everything wonderfully clear. It inspires confidence. I can't wait to get started with the work. Mick Webb's restored Ambassador, including a replacement wire harness that I built for him (complete with relay solution). Photo courtesy of Mick Webb. 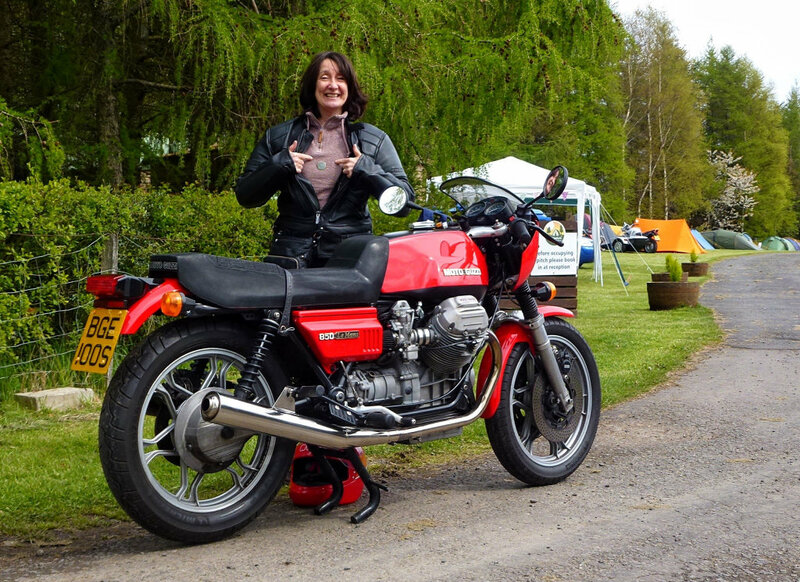 Just want to say thanks once again for a fantastic wire harness kit for my 1977 Moto Guzzi Le Mans restoration. I think this is the fifth harness kit you have provided for me for my Moto Guzzi restorations and once again it's perfect. I attached a picture of the last three wire harness kits you supplied. The last three wire harness kits I supplied helped restore these lovely Guzzis. Photo courtesy of a customer from Canada. EVERYTHING WORKS! .......the first time. Very good instructions and wiring components quality. 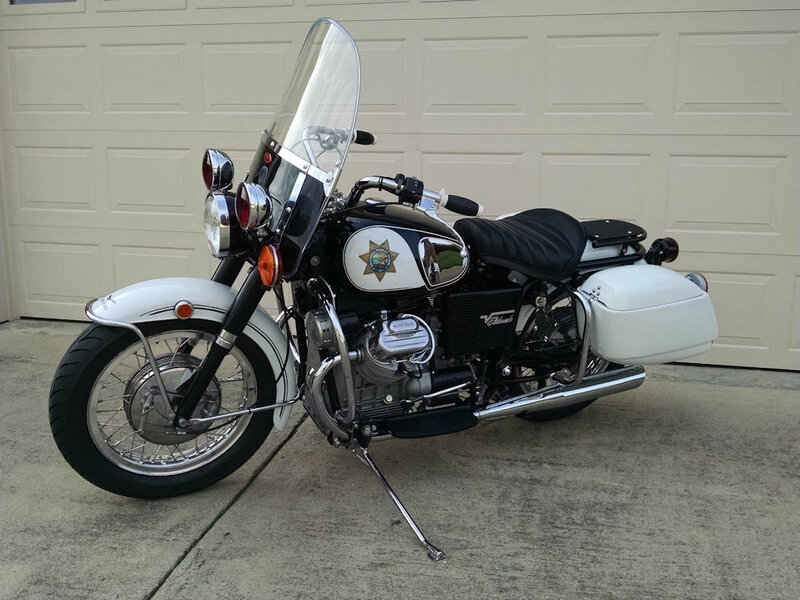 I've rewired other vintage bikes but none are as complex as the Eldo police. Definitely made an otherwise daunting task easy. The relay solution is stone reliable, safe and ingenious. Thanks for your tutelage along the way. 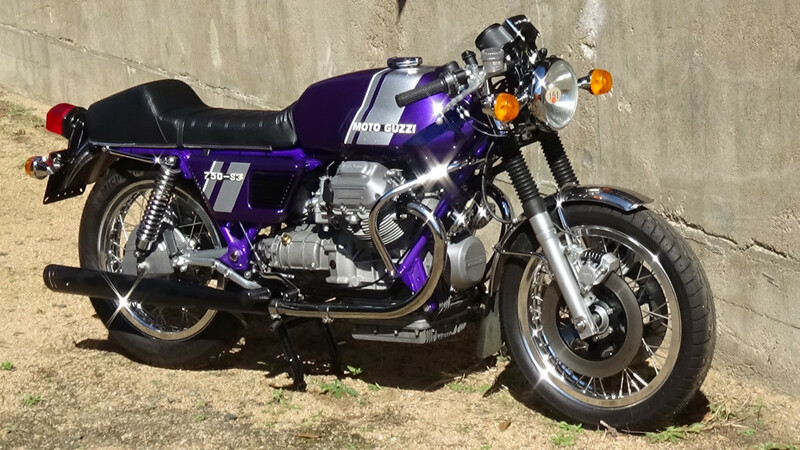 I built the wiring harness for this 850 T, which Jason Delacroix has transformed into a very nice V7 Sport tribute. Photo courtesy of Jason Delacroix. Thank you again for the fine products, stellar services and abundant information you offer. 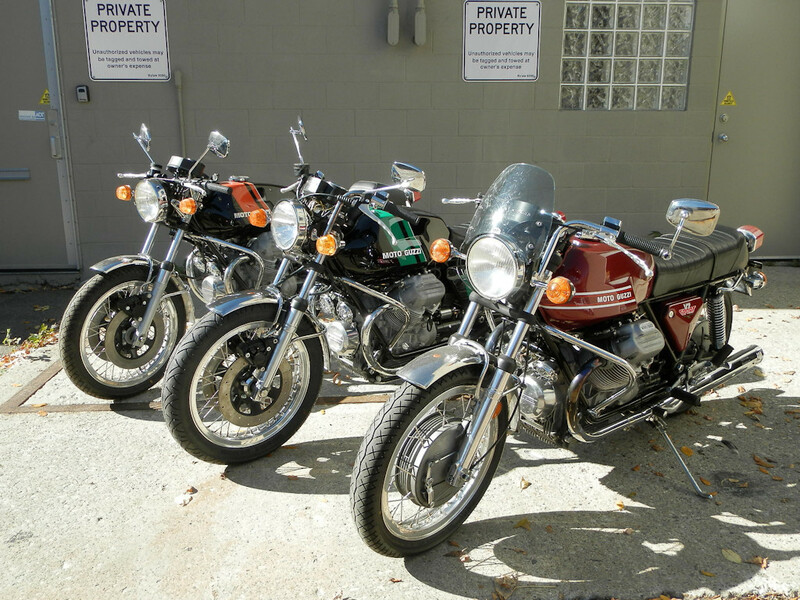 You make owning, maintaining & restoring these bikes truly a lot easier and enjoyable. 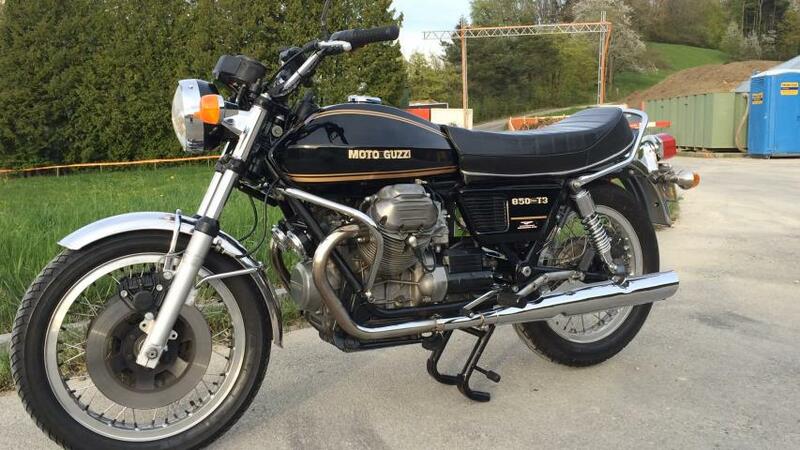 It's honestly heartwarming that someone has taken the time and effort to understand these old Italian machines, with all their inherent idiosyncrasies, and devoted himself to help keep other's rides going too. There are not a few geese out there that continue to function thanks to your efforts. I personally know of 3 others up here in the Greater Vancouver area who have benefited from your services. This is my third harness from you and I'm certain you'll be hearing from me again....always hunting for that next project. 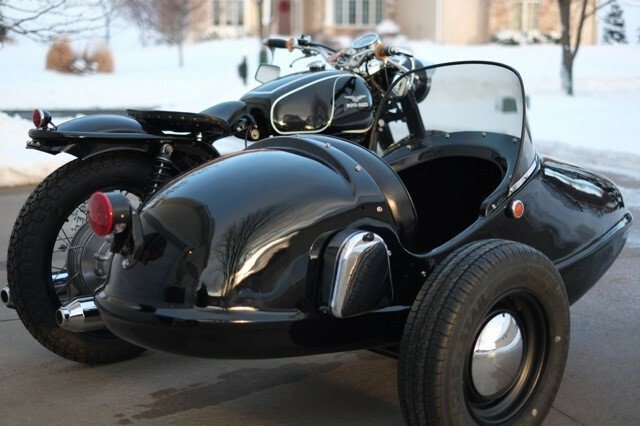 Nate Uecker created this very special Ambassador with side car, using a relay solution I built for him. Photo courtesy of Nate Uecker. Wow! That was fast. I will mail your check today. It has been a pleasure doing business with you. I also want to say thanks (as I am sure many others have in the past) for your wonderful website. 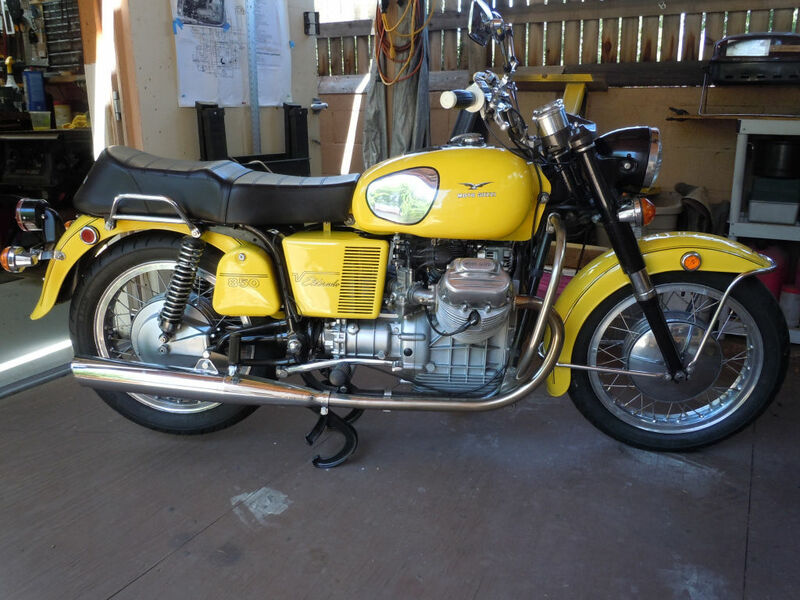 It has been such a valuable resource as I continue my project of refurbishing what was a neglected old Guzzi. 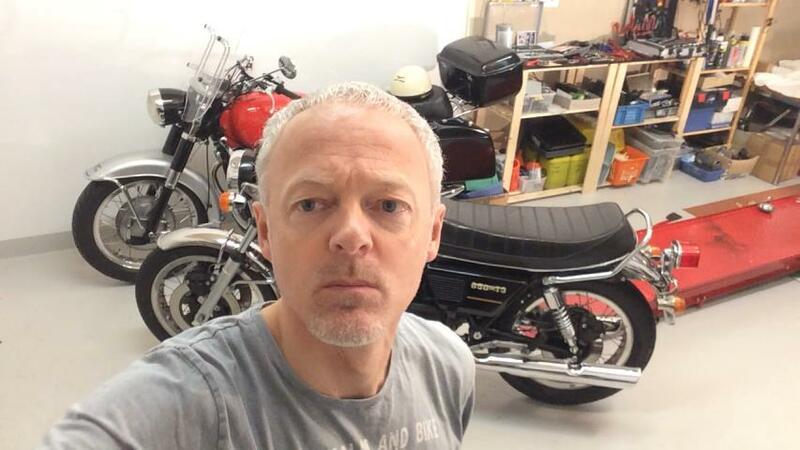 We, the motorcycle obsessed, are very lucky that there are guys such as yourself who have put so much personal time and effort into accumulating what is an incredibly huge amount of valuable information and making it available to all. I didn't want to end our transaction without taking a moment to tell you how much I appreciate it. Thanks man! 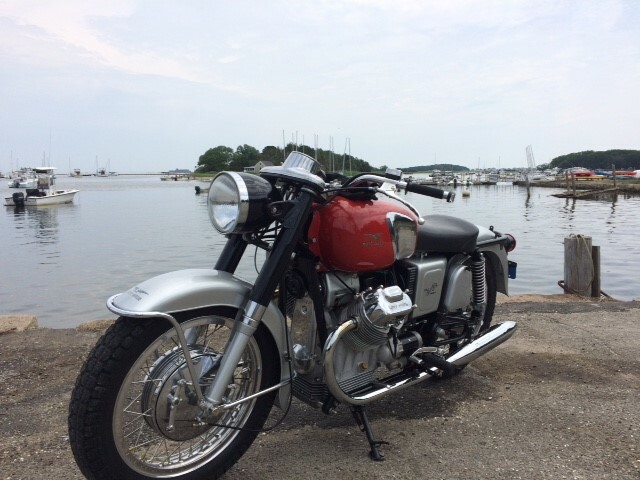 Sam Manzella restored this late V1000 G5, including a complete wire harness I built for him. Photo courtesy of Sam Manzella. Just wanted to let you know how pleased I am with the wiring harness. I took care of the main harness and the complete dash and the quality is second to none. Electric is my least favorite thing to mess with in bikes, (not that it's terribly difficult, I think moreso because it's an application I understand least about) but the clarity and quality of your work gave me no anxiety whatsoever. I could've salvaged my original wiring and made my own stuff for the missing pieces, but I'm glad I didn't. I'm sure whoever ends up buying this bike when it's done will appreciate it too. Thanks again. 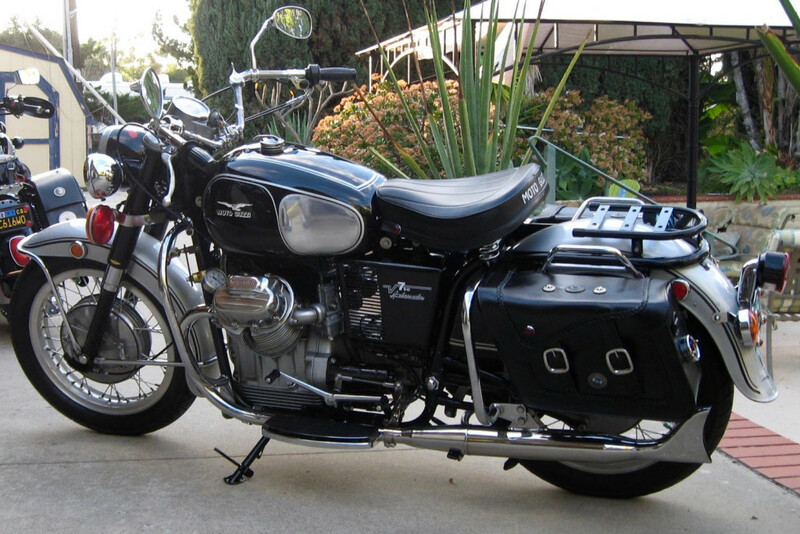 Cliff Drevermann restored this 750 S3, including a complete wire harness I built for him. Photo courtesy of Cliff Drevermann. Thanks again for the wiring harness. The workmanship is excellent. I've shown it to my neighbor and he said its too beautiful to install, it should be put in a glass box and displayed! Dan Kellaway's restored Ambassador, including a replacement wire harness that I built for him (complete with relay solution). Photo courtesy of Dan Kellaway. Just wanted to say thanks again for the latest wiring harness, really easy to install and top quality as ever. I spent a pleasant couple of days in New Zealand replacing all the old wiring on my V7 Special and installing your relay kit as well. It looks good and works well. The wiring was really a pretty simple process. With your instructions and photos, it was straight forward. I don't know how I could have got this done without you. My original harness was cut, hacked and just a mess. I bought another harness from Ebay which ended up being no better. Just received my wiring harness. You can say I'm one very satisfied customer, I'm very impressed with the quality of workmanship and attention to detail. This will make my restoration project so much easier. Thank you Gregory. The harness is spectacular, far better than I expected. I just wanted you to know I was able to install my harness this past weekend. I followed your well-written guide and the bike started immediately, charging great, great lights, absolutely no problems at all and looking like a factory install. You should be very proud of the service and the products you are providing to the motorcycle community. Keep up the great work, looking forward to doing more business in the future. Your wiring harnesses are of an addictive quality. I ordered a wiring harness for my Eldorado and I finally got around to installing it. Absolutely fantastic! Easy to install when following your instructions. Excellent product! When I started this rebuild it was obvious that neglect and some misguided soul had seriously damaged the wiring. I wasn't looking forward to sorting out the various problems and rewiring. When I found your website and perused your products a big smile popped up on my face, yes! possible salvation! 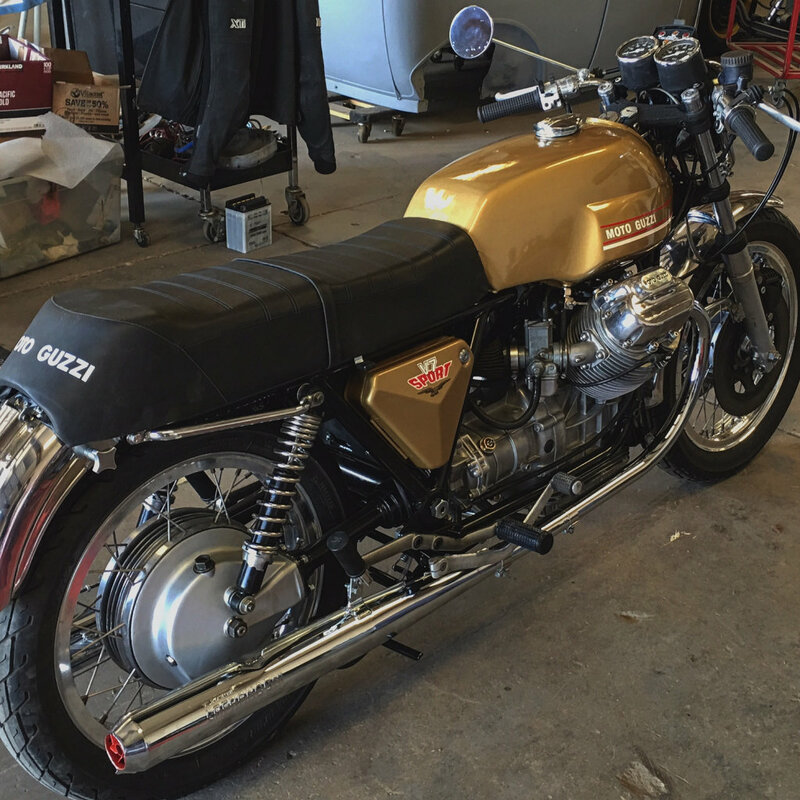 Now that I'm working through the Guzzi wiring diagram and simply plugging things in I couldn't be more pleased with your wiring harnesses, they are great and have made this project even more fun. Thanks. The harnesses arrived yesterday, fantastic! I must say that they look brilliant, most impressed with your work. My electrician liked them too. It will be a pleasure to put them on my Guzzi. If my memory still works I'll send you a picture when it's done. A pleasure to deal with you!! Had a chance to install the harness a few weeks ago. Just wanted to pass along my appreciation of your organization/instructions. Everything worked flawless the first time around. I just want to thank you for the exceptional service and product you shipped. I was amazed at the quality of the work and the speed in which it was done. Thank you! I see you have added some helpful wiring instructions recently. Though I had little trouble mounting my last harness I'll have a read through, I can't ever have too much help/advice. Thoughtful touch, thanks. Greg another perfect harness, my third. Thanks so much for your help on this project. Everything works as it should. I am sure we will work together again in the future. Just got the harness in the mail this morning. What a beaut! Thanks so much. Will be starting the dismantling process tonight! I'll let you know how the install goes. I've received the package and I got all the items. I have no words. I like the quality I feel by the only touch of all the harnesses. Very good job. Thanks for the lightening fast build on the harness. Just awesome. Thanks for the very excellent work on the wiring harness. Just beautiful work. We are underway on the install now. This is not the fiist time I've switched a main harness on a bike. This time it was different - just plug'n play. When I was done and turned the key - it all worked as intended! Thank's for making a high quality harness. You saved my bike and myself a lot of trouble. Received everything for the spotlight relay kit the other day, it looks great. I can't thank you enough. I will be back in touch with any questions. Just to let you know the loom arrived today, fits perfectly and cures the issue I was having with a dodgy charging light. Can I say what great service and if I wasn't so far away I would happily let you use my bike as a pattern to build a complete loom!!!!! I may well use you again and will recommend you to all my friends. All arrived safe and sound. Everything looks great and is high quality work indeed. Thank you very much. Never been as excited over a pile of wires. You do nice work. 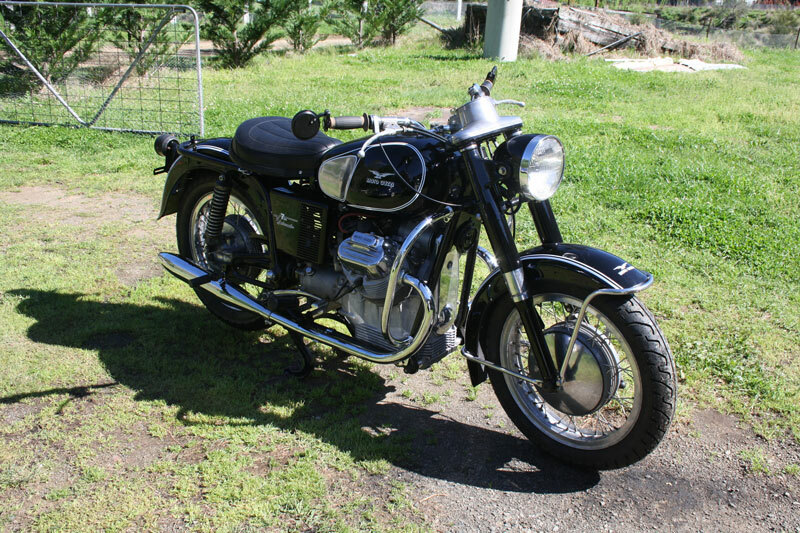 I started the bike today...IT STARTED...IT RAN...NO ELECTTRICAL SMOKE......loose banjos on the carbs and a few drips...and the tacho behaved as it should.........VERY VERY VERY HAPPY!!!!!!!!!!!!!!!!!!!!!! I finally got a chance to look over the harness and I am extremely pleased! I can't wait to install it. The quality and attention to detail (individual labels and packaging) are exemplary! I really appreciate that, for I clean, wrap and label all hardware and small parts when I do a tear down for restoration. Nice and neat and I don't have to remember where anything goes, not that I could anyhow! Tons of photos and notes along the way, too. I can tell we think the same; if something is worth doing, it's worth doing right! 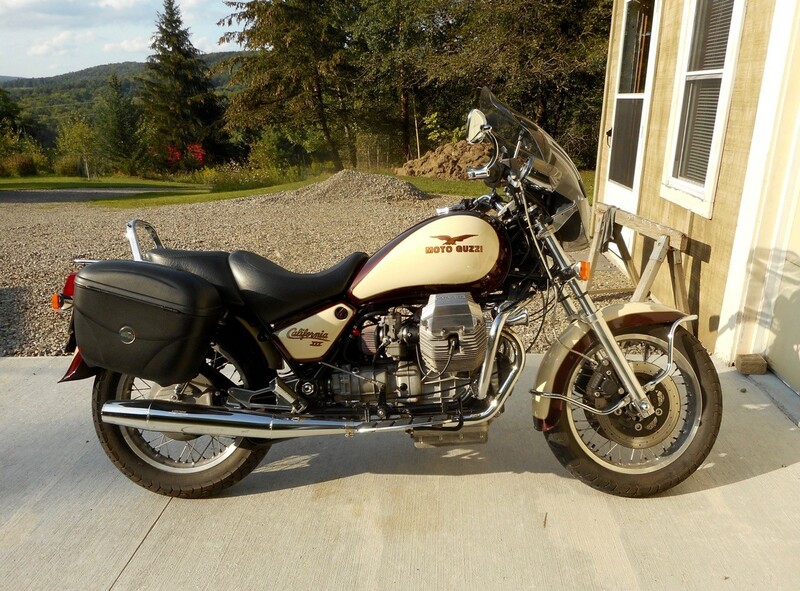 Paul Davis restored his lovely 1972 Moto Guzzi Eldorado, complete with my wiring harnesses. Photo courtesy of Paul Davis. I received the side stand wiring harness et al and could not be happier. Thanks for an excellent product. You do nice work! Got the harness an other bits today. As always your work is top shelf. Thank you for producing such great products. Just recived your wiring loom kit! It looks super!!!! Thank you so much for helping me out with this! Thanks very much for taking the time to do this, I really appreciate it. It will make installing it so much easier. I'm going to spend the xmas new year period doing the wiring. I'll follow your instructions from the site. 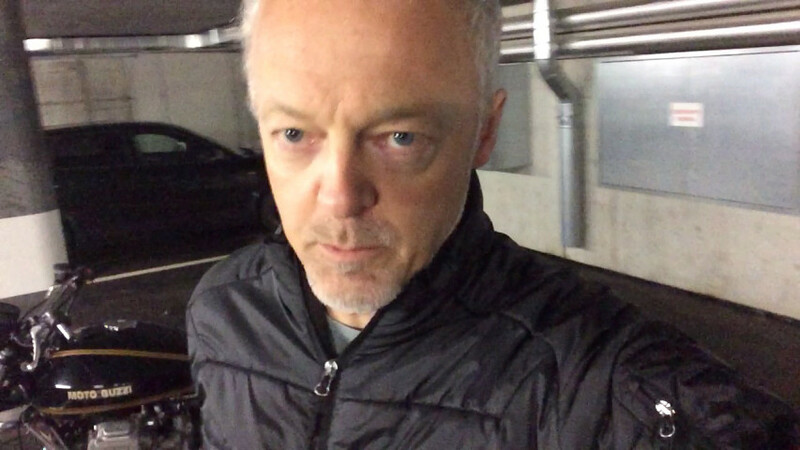 Thanks again and have a great xmas and new year. All arrived today safe and sound - no trouble with customs etc. I wanted to thank you also for the great quality of your work and patience. The looms are being installed today and the mechanic voluntarily said Best loom he's ever seen so thank you. Looking forward to firing up the Le Mans soon. David Boocock restored his 850 Le Mans (series 2). I provided the wiring for him. Photo courtesy of David Boocock. I received the wiring looms yesterday afternoon and they look fantastic!!! I'm looking forward to fitting mine to my bike, I going to wait till I have a free weekend to do it so I have no distractions. Just like to say a big thank you! The wiring loom is now fitted and all works perfectly. I was a bit overwhelmed when I saw all the cables that had to be fitted but you are right when you say, you only make one connection at a time. Will definitely recommend your wiring looms to everyone. I got the package today. All I can say is WOW! I am impressed with your attention to detail and quality work. I can't wait to get started. The wiring harnesses I installed were from Greg Bender. They are very high quality and easy to install using his instructions and he will make any mods you can think up. The only thing better than his harnesses is his customer service!!!!! Highlighting what he refers to as the bike's agrarian utility is the name of the Moto Guzzi restoration outfit where he bought his wiring harness-thisoldtractor.com! Photo courtesy of The Antique Motorcycle. Hello, I'm so happy, I received the harness, its very good work !!! Greg just wanted to says thanks for the great harness and the technical help. Except for a couple of self inflicted hiccups the installation went great. I have always shied away from electrical work on bikes but your instructions were easy to understand and the quality was excellent. I live on your website when I am working on my bikes and you probably don't know how many people you have helped. Again thanks and if anyone ever thinks they can't rewire a Guzzi have them give me a call. Believe me if I can do it anyone can. I opened the mailing box today and took a look at the wiring harnesses. I am very pleased, your work is beautiful. There'll be happy electrons running those paths. A series of nice posts regarding my wiring harnesses from the Yahoo! Loopframe_Guzzi news group. Agreed. I've installed at least six of his harnesses now and every one was fantastic. I would not hesitate to buy another Harness from Greg. He is a great guy to deal with as well. Another loud declaration of endorsement. Greg's product and help have been wonderful!!! Another solid endorsement of Gregory's work. Fantastic quality, great support, great guy. We're fortunate to have him as part of our community! I hope all is well with you. Quick note to let you know tht I have installed the main and all sub harnesses except for one. Absolutely fantastic instructions and workmanship on the harnesses. The wire harness kit arrived the other day, fantastic workmanship and attention to detail, exceeds all my expectations. Thanks! 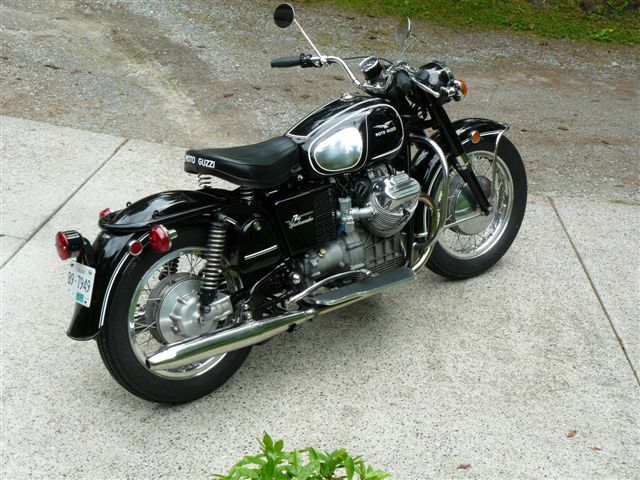 Greg Bender's Cal II main wire harness is what Guzzi would have put in originally had they his skill and technology! Just wanted to thank you for all your help and input. I got the wiring finished last Friday, tested on Saturday morning, and was riding the rest of the weekend. Pretty rewarding to work on a project...and then get to enjoy the fruit of your labor. I must say after pulling the harness out for the first tine and looking at it all, You are a master! That thing is BEAUTIFUL!!! Just received the package and it looks great! Your Plug-N-Play Wiring Harness and Relay Kit fit like a glove and works like a charm. Got home yesterday and checked out your harnesses. They look fantastic. I hope to take a crack at the relay harness today or tomorrow. All of your wiring went on my Eldorado with no issues. Excellent workmanship! Thanks Greg. I'll let you know if any issues come up installing. I doubt there will be any though. Everything is now routed acceptably (if not perfectly), and I am happy to report that EVERYTHING seems to work flawlessly! I haven't had the opportunity to test ignition and charging yet, but have every confidence that they will work fine, as well. All of this is due to the fantastic work that you did on my harness. Absolutely top quality in both materials and workmanship - you are truly a craftsman! I received the complete harness yesterday & was impressed with all that was included with the kit. I was thrilled. I have not compared to what all I have but I am pleased with the quality of the materials. I thought I was just receiving the main harness but it seems your kit includes it all on first inspection. You even included a Start button.. Looking forward to the installation of the harness onto my bike. ...your online instructions made all the difference last night. I got most of the main routed and connected in just a couple of hours. You could probably do the whole bike in a couple hours, but you know how it goes, I had the regulator upside down and some tabs and posts had been painted over. So a lot of little stuff slows you down. But compared to the progress I have made on the bike in the last 7 years, things are now going at light speed! Pretty much done with wiring after last night. Your harnesses plus the online instructions is exactly what I needed to get it done. I seriously considered selling it as an unfinished project prior to discovering your offering. THANKS AGAIN!!! The wiring loom just arrived! No problems with import duties. Very pleased with the quality, and the timing of its arrival is perfect, the rest of the bike is coming together and this week I'll be ready to connect things up. After burning up three generators, I decided to buy a set of wiring harnesses from Greg Bender to replace every wire that had anything to do with the charging system. Greg makes excellent harnesses [snip]. And of course the thisoldtractor site tells you everything you need to know about installation - priceless. Greg, have rewired bike, took it for ride. Works perfect. I have to tell you, your wiring is some of the best I have seen. It was actually fun to use. Just wanted to say what a nice harness set up you made. You're very talented. DC wiring is not my strong point. Just about done. You made it easy. Thanks! All of those little harnesses fit perfectly! Thanks for being so fast with the harness. I cannot say enough for what you have supplied [it] is the nicest I have seen. Just wanted to let you know that I finally got a chance to start rewiring the Eldo and your harnesses are excellent. I've printed out a diagram and some photos from your web site and stuck them on a wall in my shop for reference. Your wiring instructions are absolutely fantastic. Thanks so much for supplying such a nice kit and helping me with the installation. I simply want to say thanks for a great wiring harness, with your relay system and your suggestion of Scrambler cycles alternator conversion. I no longer have bugs on my headlight, they get fried before they get there. Yep, I'm overstating that a bit! This harness is so clean and well made! I cannot believe you can sell it for such a low price! Thanks again for all the support during this project! Thanks for the quick service and quality work. Looks original but much better! Nice work! You really take good care with terminals etc etc etc. May I say a wiring harness you can have confidence in ;-). Cheers! I have to say, you made an awesome job. Far better than I would have achieved it. Thanks a lot. I just received it. It looks great. I can't wait to install it. Thanks again.